The Press Center of the Russian Foreign Ministry held a presentation under the collective monograph of "International experience of support and protection of the rights of our compatriots abroad", which was prepared and published by the International Council of Russian Compatriots (ICRC), with the assistance and support of the Fund for the protection of the rights of compatriots living abroad. (“International experience of support and protection of the rights of our compatriots”. Group of authors. International Council of Russian Compatriots. M: second edition 2013. Page 312). The authors gathered at the presentation of the new monograph emphasized especially that this event had been made possible with the participation of representatives of the Department for Relations with Compatriots Abroad, the Foreign Ministry of the Russian Federation, the Press and Information Department of the Russian Foreign Ministry, the Federal Agency for the CIS for Compatriots Living Abroad and International Humanitarian Cooperation ("Rossotrudnichestvo"), the Federal Migration Service of the Russian Federation, the CIS Executive Committee, the ICRC, the Moscow House of Compatriots, as well as representatives of Russian and foreign media. Even from the very first pages, the authors quoted from Russian President Vladimir Putin, who in his speeches repeatedly stressed that the support and protection of the rights of compatriots abroad are one of our national priorities, and this approach is dictated by the logic of the development of our country. However, we still have little experience in this area and we have a lot to do. 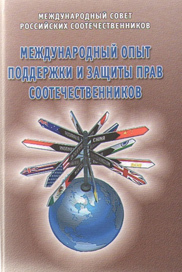 First of all, Alexander Babakov notes in the foreword to the book, the Russian president's Special Representative for cooperation with organizations of compatriots abroad, and a member of the State Duma Committee on Foreign Affairs, said: "we must continue and intensify efforts to protect the rights of our compatriots abroad which have been openly violated in a number of countries, especially in the former Soviet space". 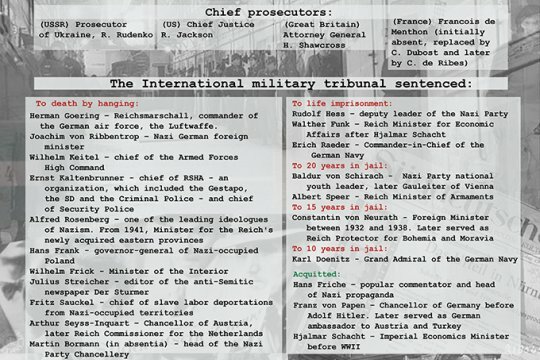 How true these words actually sound today, when we are alarmed to see such threats of gross violations of the fundamental human rights of the Russian-speaking population in some regions of Ukraine, where the authorities, with the assistance of the governments of some Western countries, have been hijacked by nationalist forces. It is encouraging, says Alexander Babakov that the Fund created by Presidential Decree in 2012, is active and fruitful in its struggle for equality, support and protection of the rights of compatriots living abroad. It is expanding its activities and has already gained credibility among the Russian diaspora and government agencies in the countries of residence of our compatriots. Among the many recommendations and experiences from other countries, many lines of activity are devoted to the Russian language. The book’s authors urge an intensification of efforts to strengthen the position of the Russian language and culture in different countries around the world, and to work on the language being given the status of an official language of the European Union. The new book considers that there is enough international political and legal expertise to support overseas compatriots by their states of origin, as well as by civil society. On the pages the monographs familiarize the reader with the main areas of cultural, social, repatriation, and immigration policies of various countries, with the experience of effective interaction with the diaspora of some states - members of CIS. The foreign experience, collected and summarized in this book, helps the Russian state, and public and cultural figures the opportunity to study the rich and varied practice of countries, which at various times have faced the need to assist and protect the rights of their fellow countrymen. This experience is interesting to anyone who at the behest of their soul or the nature of their professional activities intends to deal with the problems of compatriots living abroad. ICRC Executive Secretary Mikhail Neborsky, who did the lion's share of the research material on this monograph, in his speech at the presentation noted an increasing role in the noble cause of promoting and protecting the human rights of the diaspora from civil society in their country of residence and the country of origin of the compatriots. 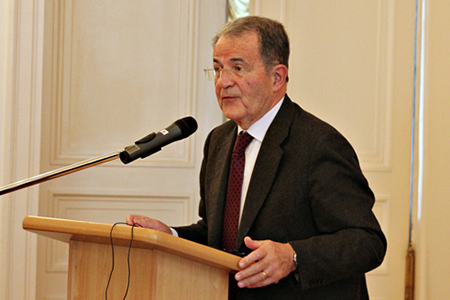 He urged those present to actively engage the huge potential of public organizations to work with compatriots, because a lack of constant and purposeful work within civil society makes it possible for the negative impact of destructive forces in society, such as we have seen particularly clearly in the example of recent events in Ukraine. Presentations were also made by other members of the group of authors regarding the monograph. The first was by the Deputy Director of the Moscow House of Compatriots Yuri Kaplun, who was at the forefront of Russian policy toward compatriots abroad, and spoke about what was important for the study of international experience in supporting the diaspora in the 1990s of the last century, when Russia was just beginning its work in this direction, and it was necessary to create the most effective mechanisms for such support. Yuri Kaplun also shared the future plans of the authors, among which, in particular, was to study the rich experience of Ireland, which has one of the oldest diaspora in the world, and Israel which has put together an orderly and efficient system to support their countrymen, especially in the area of repatriation policy, and also a number of other countries, whose interesting experience not included in the book due to the limited volume of the publication. The First Deputy Director of the Fund for support and protection of the rights of compatriots living abroad , Vladimir Ivanov, who is also a reviewer of the monograph presented, described the wide range of the Fund’s activities, which in just two years has been able to provide practical legal assistance to several tens of thousands of Russian compatriots. Also other diplomats gave presentations and made statements, directly or indirectly related to the topic of the monograph. It is significant that during the presentation an exchange of views between the diplomats and journalists took place, and then the authors of the monograph answered questions from the media. If we talk about the specific content of the book, then I, for example, was hugely surprised by the experience of China, which in recent decades has created a powerful interaction with its compatriots abroad. Interestingly, the Chinese authorities have since time immemorial, never lost their focus on emigrants, seeking to extract the greatest benefits from relationships with them to the Middle Kingdom. Any Chinese person who left the country, continued to be regarded as a Chinese citizen. This tradition was fixed in legislation in 1909. As a basis for determination of Chinese nationality, the Qing rulers created the principle of the "right of blood ", which made all Chinese offspring citizens of the empire. Later, in the People’s Republic of China, this policy was modernized by progressive leaders such as Deng Xiaoping, Xiangian Li, and Liao Chengzhi, who managed to make policy on overseas Chinese, or as they are now called Huaqiao, more constructive. The current wave of emigration gives the appearance of new features to the face of the Chinese diaspora in the world in relation to the relevant challenges of the modern era. The new generation of emigrants, according to the authors of the monograph, are highly educated. They expect to receive intellectual work abroad, often leave with their families, and do not primarily go to the countries of Southeast Asia, but to the more developed parts of the world: North America, Australia , and more recently to Europe. Recently, China's policy in respect of Huaqiao foreign communities has taken shape and gained stability. It has become an important strategic part of the rise of China. In the book, one can find much other interesting and useful information. Of course, the authors of the monograph admit, that it is clearly impossible to cover all the countries that are undertaking an active diaspora policy in only one book. Outside of our consideration, the experience of Israel proved to be interesting and instructive, especially in regard to repatriation policy. Ireland has one of the oldest diaspora. Poland has survived several powerful waves of emigration, along with a number of other countries. The authors conclude with hope, that all these issues will be the subject of future publications. During the presentation of the new monograph, the International Council of Russian Compatriots issued a statement to the media in connection with the abolition of the law of Ukraine "On the Principles of State Language Policy". In particular it said : "The International Council of Russian Compatriots , uniting 137 organizations from 52 countries , expresses its strong protest against the actions of the Ukrainian coup, one of the first acts of which after seizing power was the abolition of the law " On the Principles of State Language Policy " which was adopted by the Verkhovna Rada of Ukraine (Ukrainian parliament) on July 3rd, 2012, according to which the Russian language was given official status in the regions where there were Russian-speaking populations. This move clearly showed the world what kind of policy relating to national minorities is going to be conducted by Ukrainian nationalists and radicals. The law "On the Principles of State Language Policy", one of the instigators of which was the Chairman of the Presidium of the ICRC, Member of Parliament V. Kolesnichenko, brought Ukrainian legislation to civilized standards even if only for a short time, and gave hope to the Russian speaking population of this country that they could preserve their language and culture, and be rescued from forced assimilation and Ukrainianization. It is significant that the leaders of the Maidan protests, constantly declare their commitment to European values, but the abolition of this law grossly violated the basic norms of European Union legislation concerning the rights of national minorities, including linguistic, and regional bilingualism which in practice takes into account the linguistic rights of national regional or minorities in the European Charter and which has been widely used in practice. The International Council of Russian Compatriots strongly protests against the violation of the fundamental rights of Russian-speaking population of Ukraine by the radical nationalists of the Maidan protests and their henchmen among the legislators, and the elimination of the legislative framework to ensure the prospects of preserving the national identity of the Russian people of Ukraine. 498: 30 seconds to mars. In defending our compatriots, we are defending ourselves24 March 2014: In defending our compatriots, we are defending ourselves! лучшие комедии. In defending our compatriots, we are defending ourselves.